1. Storyline- You are Simon Belmont, decendant of the Belmont clan. appears. 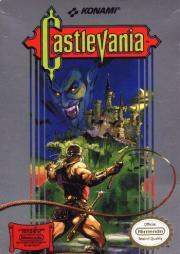 It's Simon's turn to enter...... Castlevania. II and III = throw 2 or 3 special weapons at the same time. Stage 1-2 - Just keep running and jumping till you get to the stairs. Ignore the fishmen. Go up the stairs. Go through the door. the jumps and go in the door. turn left hit the block near the knight for a II. Now go left till you reach the door. go left till you touch the door. platform and jump after you. He'll miss. Stage 4-1 - Just jumping. Duck when there are rocks above a jump. Stage 5-1 - There is a pot roast near the door  the end. THE BAT (stage 1-4)- Just hack and slash. Watch out for the fireballs. fact you cant have the boomerang. whip and your special weapon while aviding her projectiles. between them! jump over the bandage and beat them up. blocks. Whip away at Frankenstien while doddging Apedog's fireballs. Boomerang- Super! Corner him, throw it and whip him for mad damage! Holy water- a well placed shot will mess him up. Stopwatch- freeze him just right for 3-5 hits. other is wait till he's aiming his fireball. Hit him in the head then. Holy Water- CAN'T HIT HIM!!!!! No stars! this FAQ better in any way.